Ahhhh…..summer grilling! Cooking outdoors during the warm months is certainly one of the finer things in life. In my last post, I spoke about the importance of experiencing nature and spending time relaxing outside of our stressful, busy lives. Grilling meals is a simple and easy way to break out of your “indoor shell” – so today I’d like to talk to you about how to enjoy your outdoor meat cookouts while avoiding the many nasty carcinogens that we expose ourselves to during the grilling process. Thank you to the people at Cure Magazine for this very helpful information! How does grilling meat expose us to cancerous toxins? – Grilling meat can produce two different types of carcinogens: heterocyclic amines (HCAs) and polycyclic aromatic hydrocarbons (PAHs). – (HCAs) form when any animal flesh / muscle (as opposed to organ meat) is cooked at high temperatures. – (PAHs) form when fat drips from the meat into the open flame on your grill. The chemicals from this process rise in the smoke and fire and contaminate the meat. How can I prevent my meat from becoming contaminated with carcinogens? – Choose lean meats and light, rather than dark, poultry. Be sure to remove any skin and excess fat to reduce drippings into your grill. – Research has shown that steaming your meat for between 60-90 seconds immediately before grilling can completely eliminate the presence of (PAHs) in both beef and chicken. – Marinate your meats in lemon or vinegar-based marinades. Studies have shown that doing so can reduce formation of (HCAs) by up to 88 percent! Thick, sugary marinades tend to increase the level of char on your meat, thus increasing the odds of HCA formation. – Avoid charring your meat. Due to the high temperatures required to really “sizzle” your meat, the charring process increases the chances of (HCAs) and (PAHs) latching on to your meal. – Purchase a meat thermometer and grill your cut of meat to about 160º F. You don’t want to char the meat, but you need to ensure it is thoroughly cooked! – Grill your food on cedar planks or aluminum foil. Be sure to poke holes into the foil to allow the fat to drip – the foil will prevent the rise of fat content from the flame back onto the meat. 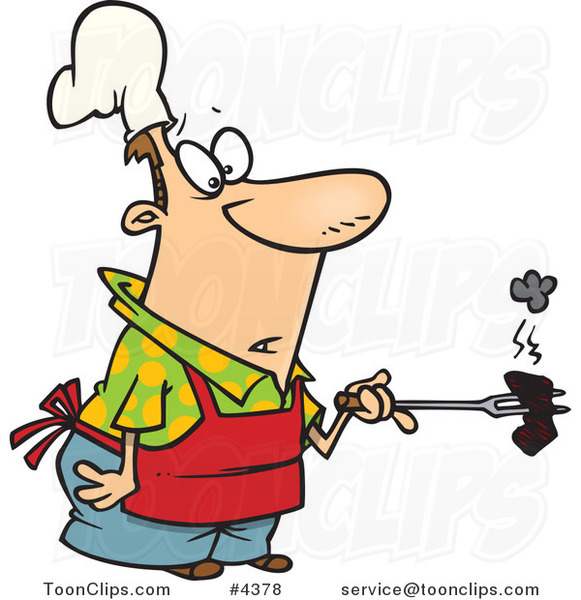 – Do not press your meat while it cooks or place your meat directly over the flame. Doing so will increase fat drippings and charring during the grilling process. – Clean your grill and always replace your charcoal after every use to avoid rehashing any carcinogens that may have formed during your last grilling session. – To avoid a higher risk of colon cancer, limit your consumption of meat to 11-18 ounces per week. Keep your portion sizes to a maximum of 4 oz per serving. – Avoid processed meats, especially products made with sodium nitrates. Nitrates are chemical preservatives added to processed meat that become carcinogenic during digestion. They also increase the sodium content of your food unnecessarily! – Look for organic or grass-fed meats on sale at your local market. Many supermarkets have daily deals on these items, so take advantage if you can and have piece of mind while you cook out! Hope this had some insightful, summer information! Have a fabulous weekend and start practicing these healthy habits in the beautiful summer weather! Get Cookin’! Don’t worry Vegan friends…next week something good for your grill! Okey-dokey. Will phone after 9 AM haircut. Night.